Yes indeed I know that, but I am pretty sure that any object can be used as a terrain object, no matter whether it is located in the Terrain folder or not. Yes, with placement nodes in the .dat file located in the Locations folder. You once told me that terrain objects' vertical position is always relative to the sea level, whereas land units get linked to the terrain/seabed. Is that correct? If yes, no matter how good you match the two parts in wings 3D, you will still need to measure their relative (vertical) distance in game, and make the appropriate changes in Wings3D based on that measure. Yes, I aligned both models on the verticals axis : I mean both are exactly on the vertical axis, but not at the same place on this axis of course (separated by 1,7, so 17 meters, as you already did). The problem was that the rock was not adapted with the base of the beacon, so I moved it a bit. And yes, it was hard for you to understand what I was meaning. Sorry for that. We are talking about horizontal position, right? I knew that choosing to set the rock as a terrain object, though more logical, would have caused this sort of problems. That's why I asked you how you wanted me to set it. No problem is insurmontable though. There is a linear relation in the SHIII world between lat/long degrees and metric offsets so no big problem here: despite the different system of coordinates adopted, we can place the two parts exactly at the same spot. If the lighthouse is destroyed during the campaign, or if at some point it must be removed from game (according to historical data on its destruction), the rock would diasappear too, and I didn't want that: the submerged danger should keep there. IMHO, it's not a big deal if a submerged rock is deleted somewhere in the sea. Maybe for SH5, but it will be hard, and probably impossible to have it on the SH3 navigation map. The pic will be totally pixellised and not readable at all. Just so you know : I won't be here the next few days. I don't think that placemet nodes are essential: they are just an echomomic way to build harbors and town by assembling many common buildings. We might use them for complex rocks, but unless you have a practical reason for having them, let's keep things simple for the moment. So, what kind of icon did you have in mind? A note on SHIII: Decimal coordinates used for terrain object placement, have a precision of six decimals. In the cylindrical SH world this corresponds to a degree of accuracy of ±12 cm. For our purposes, this is more than enough. In theory, units' placement can be even more precise, but I have decided to round the results of my formulas so to ensure an exact match among the two notations. The preset coordinates that the spreadsheer is coming with, are relative to the Tourelle de la Plate (measured in Google Earth). Oh yes. Trying to split the Nav Map into increments of Lat / Long versus -242786.54326, etc... I've got the Lat & Long, just need to do the math for what the game uses, and this is ~SO~ much easier. I don't know where my brain was that I didn't think of something like this... Thanks again. lat 43 5' 12" N, 3 12' 12" W gives a Location Lat of 0.000.043 and Long of -0.000.003 and a Units Lat of 5.170.400 and Long of -0.384.400. The position shows correctly on the maps though. Excel 2010. I have put in the formulas some string functions which replace commas (,) with dots (.) as decimal separators. The idea behind that, was enabling users to copy/paste output values from the worksheet directly into SHIII configuration files, without having to correct the decimal mark manually. My computer is Italian-localized, and my formulas work perfectly on it. I thought they would have worked for other local settings, but obviously they are not. Indeed. the reason for the position still being plotted correctly on map depsite the error, is that the graph uses numerical values, not the strings extracted from those values. If you tell me what kind of decimal mark you have set in your system, I can try tand fix the problem. 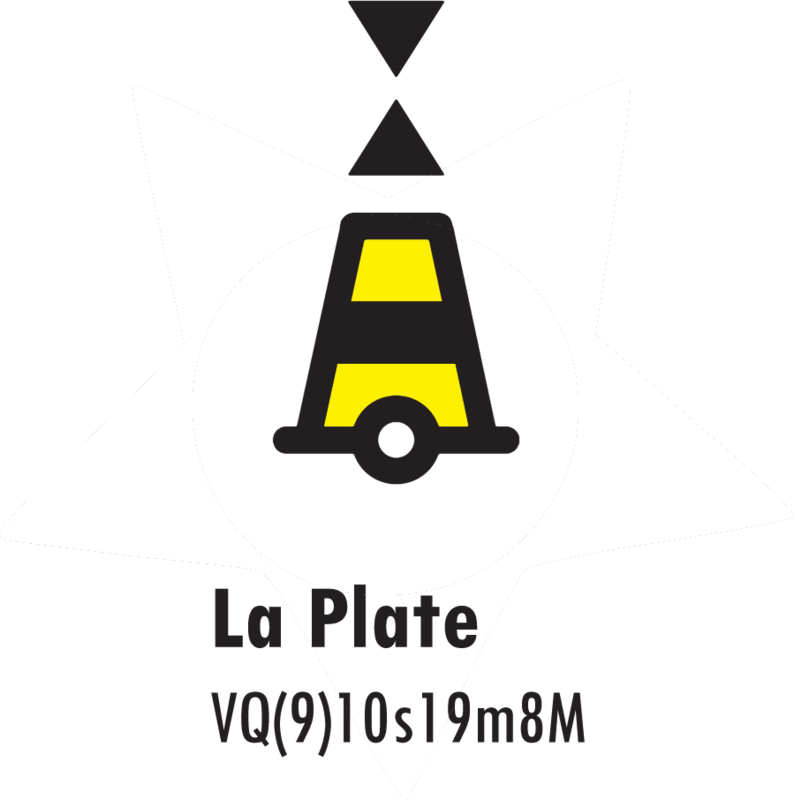 On a side note: while we are waiting for Kendras to be back on duty ( ), have you or anyone else tested the last version (alpha v5) of the Petite Vieille lighthouse? I am curious to know if, after my latest changes, the metal platform on top of the tower is still in its place (and with the correct texture), and if there are water reflections after I added the appropriate controllers. Sorry, been out shopping . The spread sheet works as expected now as far as Location is concerned - thank you for fixing that . I'll check the unit output side of things tomorrow, if I can understand it - should be able to check against the readings in the mission editor? I tried the new La Plate light last night - great model . All seemed fine - set up as a land object. the lantern wasn't visible or flashing. Edited the eqp file so that the light was visible until 1945 and it showed OK. Haven't had a chance to get the rock showing, or to test if it is "collisionable". Will endeavour to do that tomorrow. I don't know: I have never used SHIII's mission editor , but if you create any single mission or a campaign mission layer, unit positions/waypoints are stored in the resulting mis file, in 'metric' format (as the one returned by my calculator), and if you place a new terrain object, Locations.cfg should be automatically updated with the position of the new object stored in 'decimal degrees' format. Both mis files and Locations.cfg can be open/edited using any ASCIII text editor. All seemed fine - set up as a land object. As land unit you mean? the lantern wasn't visible or flashing. Edited the eqp file so that the light was visible until 1945 and it showed OK.
Haven't had a chance to get the rock showing, or to test if it is "collisionable". Will endeavour to do that tomorrow. Okay, let's leave the rock for when Kendras will be back. So the platform that the lantern is placed on was in place, and the model had water reflections?